The vitex plant is also known as chastetree or Texas lilac. It’s a subtropical shrub or small tree that grows in U.S. Department of Agriculture plant hardiness zones 7 or warmer. 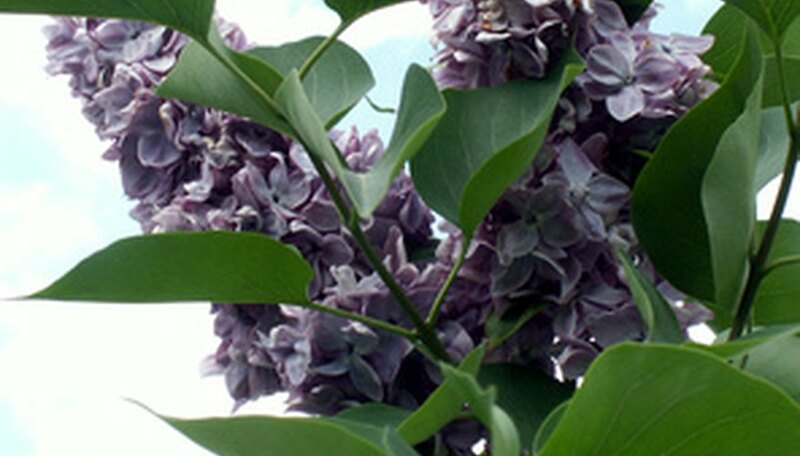 In places such as Texas, it is a substitute for lilac bushes, which don’t often tolerate warm Texas summers, according to Texas A&M University Extension. The plant has a branching trunk that can grow up to 15 feet tall. If you train a vitex when it is young, it will grow into a tree form that can reach 20 feet tall. The process for planting a vitex shrub is similar to planting a tree in Texas. Select a location in full sun with well-drained soil. Vitex prefer moist to slightly dry soil and will die in boggy or wet soils. Dig a planting hole that is 2 feet wider than the root ball of the tree, but no deeper. Chip at the sides of the hole with your shovel to roughen them up and avoid a potted plant effect in which the roots cannot develop outside of the planting hole. Place the roots of the vitex in a bucket of water and let them soak until the root ball is saturated. Remove the root ball and rinse the roots with water to wash away a 1-inch layer of soil or growing medium from the root system. This will encourage root development. Examine the root system and prune away dead or damaged roots, as well as any roots that wrap the trunk of the shrub. Place the root ball into the hole and fill in the soil halfway around the roots. Water well to settle the soil and remove air pockets. Then fill in around the roots the rest of the way. Cover the roots with soil in a 1-inch layer. Water the shrub using 5 to 7 gallons of water once weekly until the roots become established. Gradually taper off watering once roots become established until you only water when the plant needs it during drought conditions. Check the vitex shrub weekly to see if it needs watering by inserting your finger into the soil up to your second knuckle joint. Water anytime the soil feels dry. The soil should feel as damp as a wrung-out sponge. According to Texas A&M Extension, the drought-tolerant vitex is a heat lover and is so tough it is often planted by the state in highway medians.